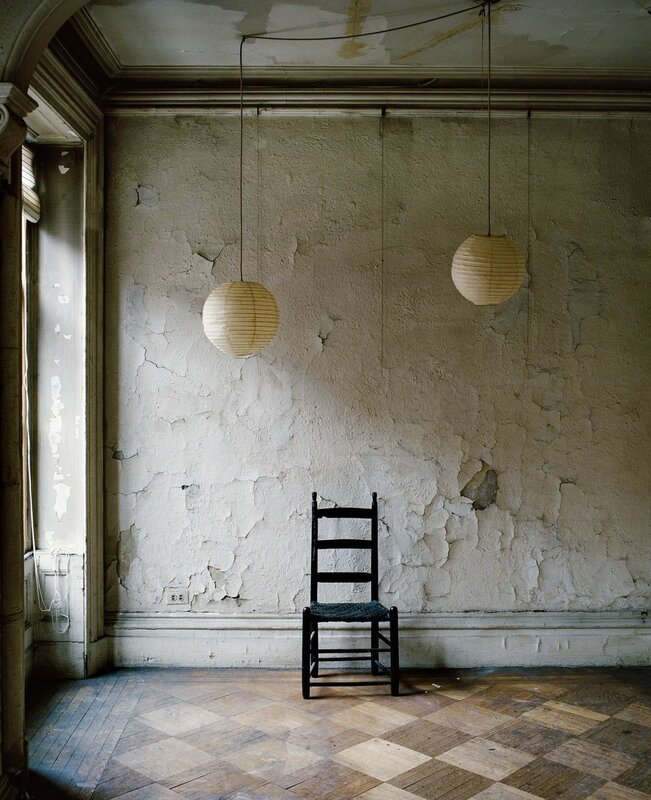 François Halard is a French photographer of interior spaces and architecture. To animate the inanimate, and to otherwise capture the spirit of the unpeopled places, is the genius of Halard. 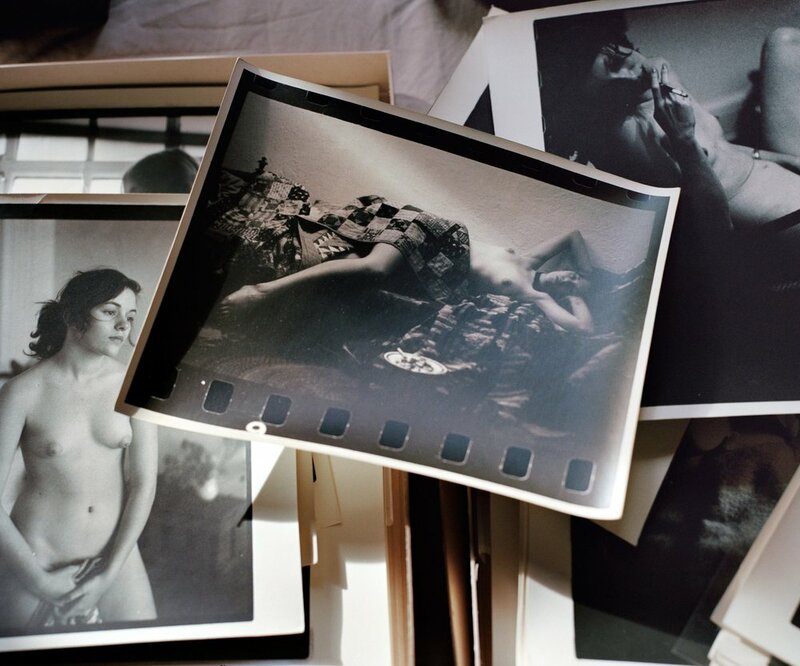 It comes as no surprise then that Halard received a call to photograph the apartment of the late photographer, Saul Leiter, as he was the perfect candidate for the job. Halard splits his time between his home in the town of Arles in the south of France and his Greenwich Village apartment in New York City. When Halard got the address for Leiter’s home, he realized it was two steps from his own apartment. The two photographers shared a street; and just paces away in apartment number 4 the legend that is Leiter developed his work, which we now recognize as the iconography of an era. Halard resurrects the essence of Leiter, floating our attention from a paint splattered window sill to an empty sun-stained corner, never for a moment losing the feeling that someone great has lived there with magic indelibly soaked into the matter of the space. Jane Livingston grouped Leiter as one of the New York school of photographers of the 1940’s and 1950’s era amongst notable artists like Robert Frank and Diane Arbus. Born in Pittsburgh in 1923, Leiter was given his first camera at the age of 12 by his mother. By the time he was 23 Leiter had dropped out of rabbinic theology school and headed to New York City to become an artist. Leiter was passionate about painting and quickly became friendly with the abstract expressionist painter, Richard Pousette-Dart. The painter cheered Leiter into exploring photography, an encouragement taken with sincerity, discipline, and a burgeoning passion. Saul Leiter later went on to become a prominent fashion photographer with a career spanning twenty years in the industry. He was considered to be one of the pioneers of color photography, though he humbly dismissed those claims saying he didn’t know about being a pioneer, but that he’s always loved color. Saul was more or less unrecognized by the photography world after he left the fashion industry and his studio shut down in the 80s and 90s. He spent a period financially impoverished during the late 90s before Margit Erb with the Howard Greenberg Gallery, would come to represent Leiter. Margit first took on Leiter, despite his loss in prominence after his successful fashion career in the 60s, where it was was more or less a charitable gesture. The apartment that François Halard photographed in 2013 is mostly empty. There are a few paintings hung on the walls and some lonely chairs scattered about, images that brought a smile to Erb’s face when Halard shared his first shots of the flat with her. She says, “I remember how Saul always dreamed of being a minimalist. He told me a number of times he wished for just a room with nothing in it except a bed, a bedside table, and one book.” Halard and Margit returned to the apartment a year later to photograph Saul’s watercolor notebooks and some boxes of his old prints, an addition to Halard’s interior images that give the book extra dimension and a vivifying nostalgia for the artist’s work. Halard’s ability to make more of a space than what it appears is perfectly exercised in Saul Leiter. Halard evokes the spirit of the late photographer and he makes a believer of everyone, Saul Leiter was indeed a pioneer of color, if not an altogether collector of light. Saul Leiter is printed in a first edition of 1,500 copies by Libraryman and is currently sold out. Creative Director of Libraryman and editor and designer of Saul Leiter, Tony Cederteg, said there is a chance there may be a second printing of the book.